It’s exciting to experience a new way to socialise with friends, get creative and have a bit of craic. Paint by the Pints was founded in January 2018. Since its launch in Dublin, it has seen many sold out events with paintings ranging from landscapes and sunsets, to flowers, to local landmarks! It makes for a great girls’ night, date night or a fun and easy environment to meet new people. These events are for everyone – no experience is required and all the art materials are supplied. The ‘Paint by the Pints’ event will be held at Rouse’s Bar, Pearse St, Ballina during the bank holiday weekend on Saturday 4th August. Event doors open at 6:30 pm. Rouse’s have kindly invited all guests to their famous trad music session that begins later that evening at 10 pm. 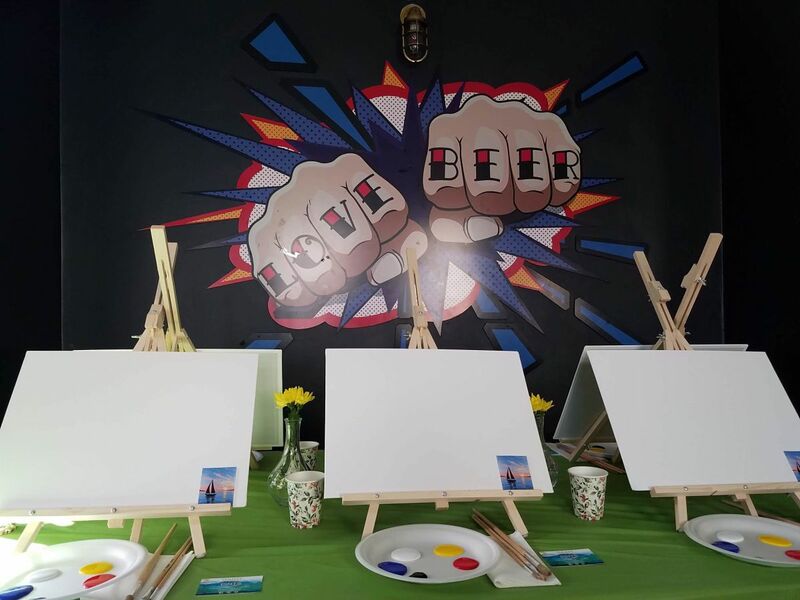 Tickets for ‘Paint by the Pints’ are at a discounted €20 which includes a free drink, a step-by-step walk through of painting and guests take their masterpiece home at the end of the night! We’ve launched a one-for-one program with Children in Hospital, Ireland where every canvas completed at our events translates into a €1 donation for the arts and crafts fund for over 30 paediatric wards across the country.